Oil retreated from the highest price in more than three years after surprise increases in U.S. crude and gasoline stockpiles. Crude fell 0.5% in New York on May 23. 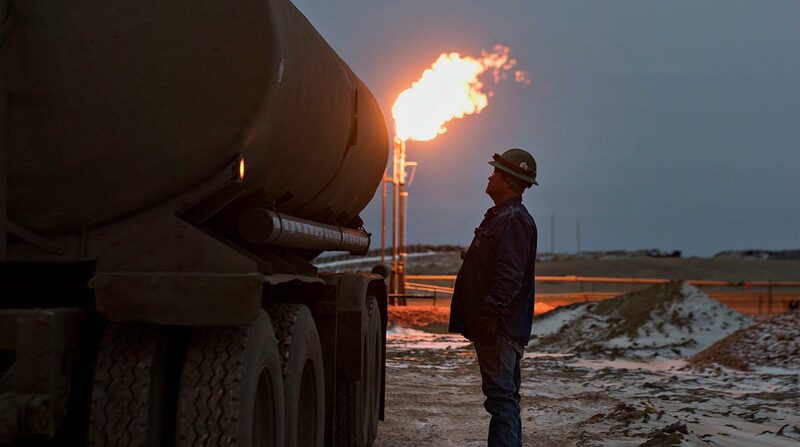 Surplus oil supplies in the world’s biggest economy swelled by 5.78 million barrels last week, and gasoline inventories expanded by 1.88 million, according to the U.S. Energy Information Administration. Almost every analyst and economist in a Bloomberg survey expected stockpiles to shrink. Representatives of OPEC and other major oil producers convened May 22 before the group’s main meeting next month to review the impact of production cuts. With supplies from Iran and Venezuela at risk, speculation is swirling that they may ease cutbacks instituted more than a year ago to erode a worldwide surfeit. Brent climbed above $80 a barrel this month as geopolitical tensions in the Middle East and turmoil in Venezuela raised fears over supply disruptions. Despite record high U.S. crude production, the Organization of Petroleum Exporting Countries has succeeded in clearing the glut, according to the International Energy Agency. WTI for July delivery dropped 36 cents to settle at $71.84 a barrel on the New York Mercantile Exchange. Brent for July delivery rose 23 cents to $79.80 on the ICE Futures Europe exchange and traded at a $7.96 premium to West Texas Intermediate. Yuan-denominated futures declined 0.1% to 484.6 yuan a barrel on the Shanghai International Energy Exchange. The contract rose 0.6% on May 22. The May 23 EIA report showed that stockpiles held at the biggest U.S. pipeline hub in Cushing, Okla., fell by 1.12 million barrels, the first decline in five weeks. Some of the biggest oil-producing nations should step in to ease any supply shortfall should shipments from Venezuela or Iran collapse, IEA Executive Director Fatih Birol said earlier this week. Separately, the agency warned earlier this month that high crude prices will put a brake on consumption. • Gasoline for June delivery fell 1.01 cent to $2.2601. • The latest standoff between the United States and Iran may leave oil-tanker owners in more of a bind than in previous years. • Sinopec is said to plan record imports of U.S crude, according to a report. • Sberbank PJSC dismissed a veteran oil analyst who wrote controversial notes criticizing Russia’s state-run energy giants. With assistance from Tsuyoshi Inajima, Grant Smith and Robert Tuttle.